The one on the left is what I’ve poured almost a hundred times. The one on the right, well, I poured over 5 ones that look like this after a couple of perfect pours. Lead was hot, mold was hot, lead was clear of residue and like I said, I’ve poured a couple of good ones early on and they started getting like this. I can’t seem to get my head around it. Any other problems that could cause this? Did you switch to different lead, perhaps a different alloy with more antimony, like wheel weights? I did mix in some old lead from some used bank sinkers. You suspect the lead I am using perhaps have something in them causing the premature cooling? I agree with "arnesr" that antimonial content of the alloy may be causing incomplete fill out. The appearance of the surface texture of the sprue also suggests this. Bank sinkers are often poured with cheap scrap lead like wheel weights, which clip on type is generally hardened with antimony. (08-23-2018, 04:07 PM)Costa Wrote: I did mix in some old lead from some used bank sinkers. You suspect the lead I am using perhaps have something in them causing the premature cooling? Just to give you a better understanding, antimony is not only harder but also has a higher melting point than pure lead. So to be exactly, we are speaking of premature hardening, not premature cooling. You will have to use this alloy with higher temperatures and/or flow aditives to get the same results. 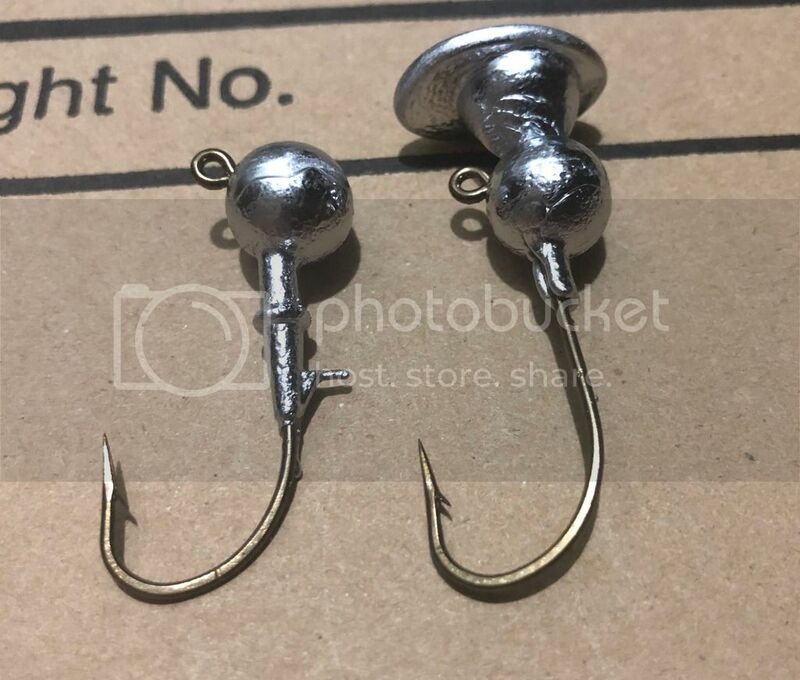 Please be extra carefull with used sinkers or anything scavanged that has an insert and might contain traces of humidity, as described in the safety thread. I tilt the hinge part of the mold down a bit,that stops the incomplete pours for me. Turn your pot up and see if that helps. Make sure there's no oil in your mold. Also flux your mix several times and take off a thin top layer. Be careful with scrap lead anymore because if it has any zinc in it it'll ruin the whole pot as it pours like mud. Also what gaspumper said. Since I've been using Frankfort arsenals drop out, incomplete pours even due to questionable/contaminated lead are virtually a thing of the past. Early on I just used baby powder which works well but is kinda messy. However either/ both are worth a shot rather than pitching a whole pot of lead. Cleaning and Fluxing lead work well to remove oxides, but contaminates and alloying agents such as tin, copper, antimony, zinc are not easily removed. Zinc can be vaporized out of the melt but Im not sure I want to inhale those fumes. If you are using a lee pot, here's two things to try. First is from a cold pot of lead, set temperature very low ( like on 4) lead has a lower melting point to some of the other metals. I had this happen to me once, I somehow got Zinc in my lead. I was able to get the Zinc out. Also make sure your spout is cleaned out real good. It should fill the mold very fast. I use a metal paper clip to clean the spout out.